Home › Primary School › 4. 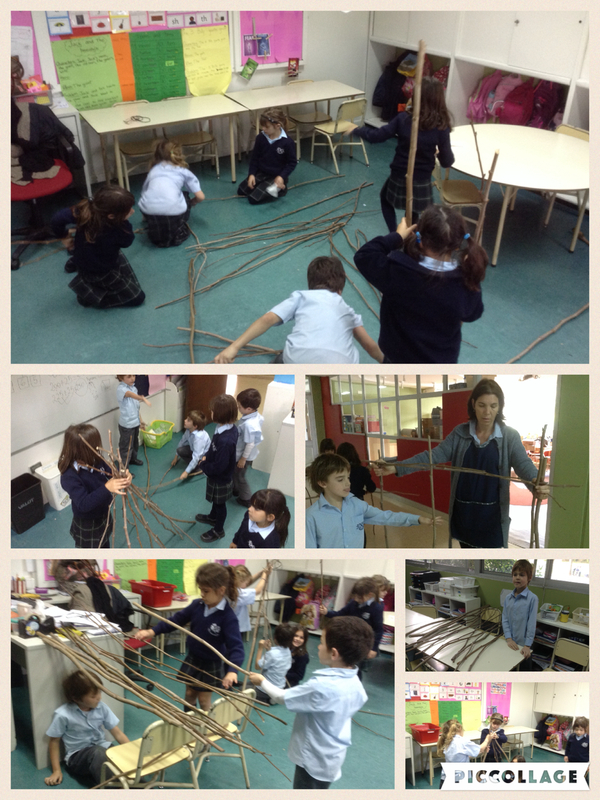 House of sticks: Making it stick! 4. 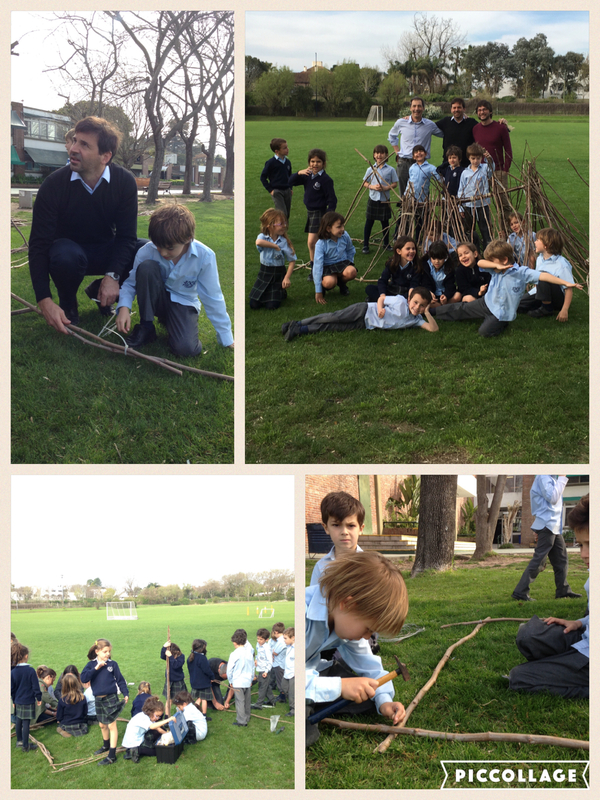 House of sticks: Making it stick! 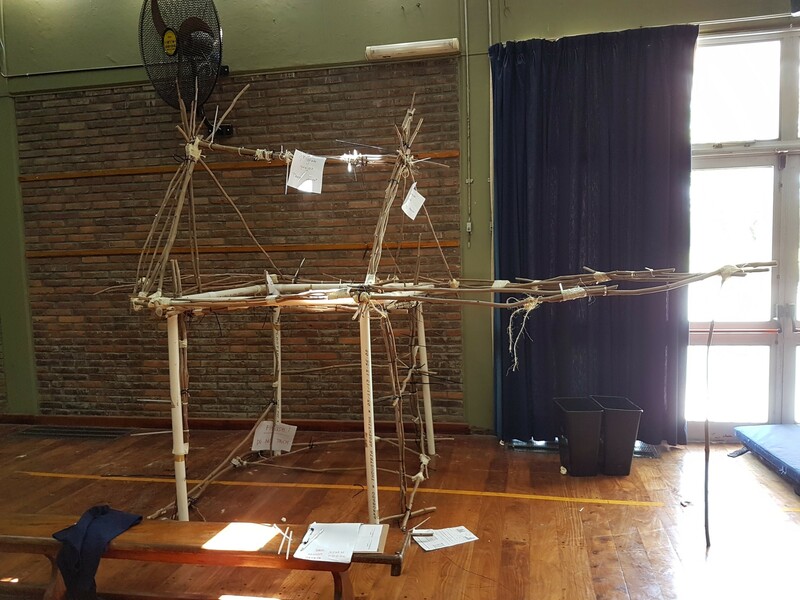 We have been making progress with our House of Sticks, changing plans as we go… adapting what we thought would work best to what actually works best… solving problems as they come our way. 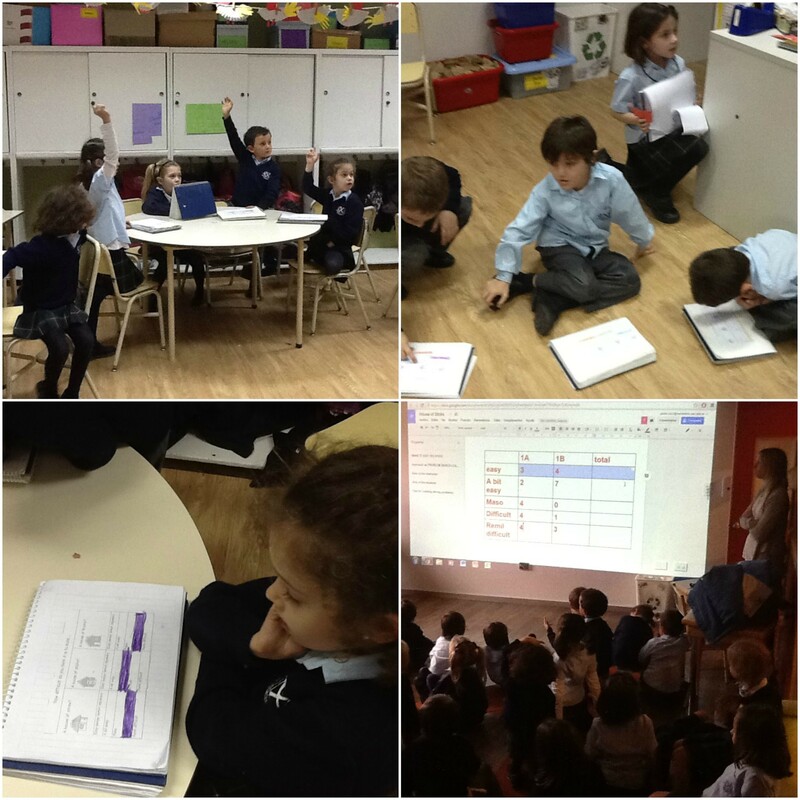 We framed our project in the context of Problem Based Learning, since it was born from the students´ real concern and we felt it posed an authentic problem to solve. Intuitively take up different roles (e.g. project leader, facilitators, note taker, team member). 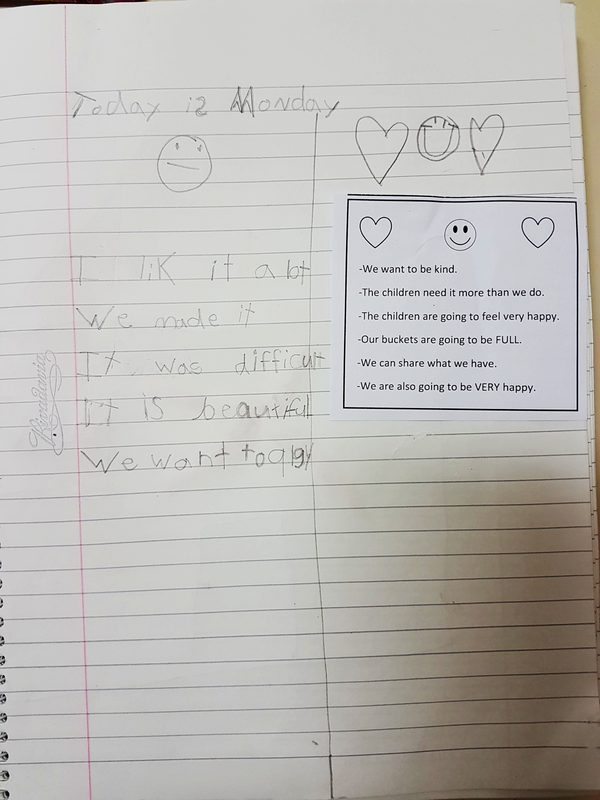 The idea for our project presented itself suddenly, after we adults thought we had completed an activity we had planned for after reading the story of the Three Little Pigs in our Traditional Tales Unit. Children brought small boxes from home and they all built a house out of waste material. *Make a model, make a small house and then make a big one. *Are we going to hurt the tree? 6. Invitation to expert parents. 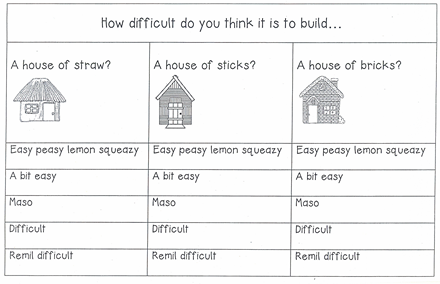 We held further discussions in the class about how to make a real house… since our trial and error process was not being very efficient. 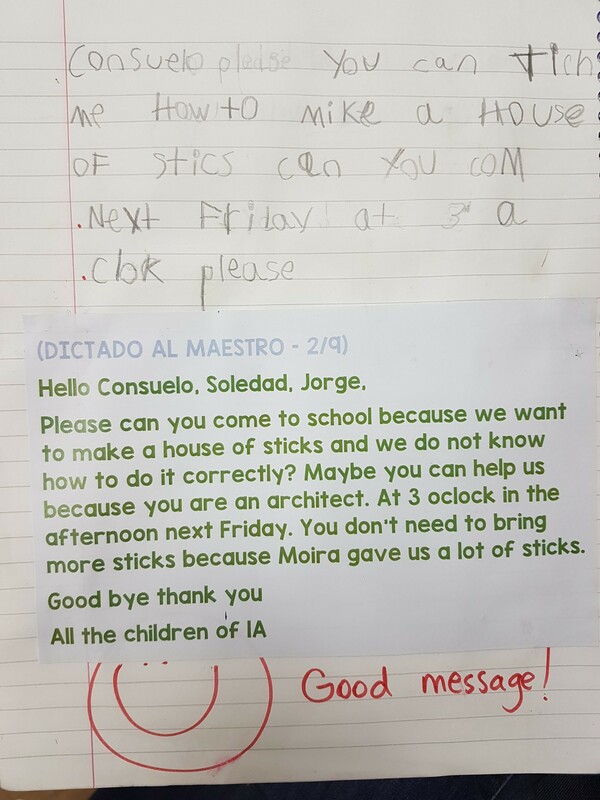 So we sent a message to the parents in our classes : 4 architects, 2 engineers who according to the children work building houses and 2 dads who had prior experience building tree houses with their first graders at home. They accepted…. And they all came; which ended in Building Friday #1. 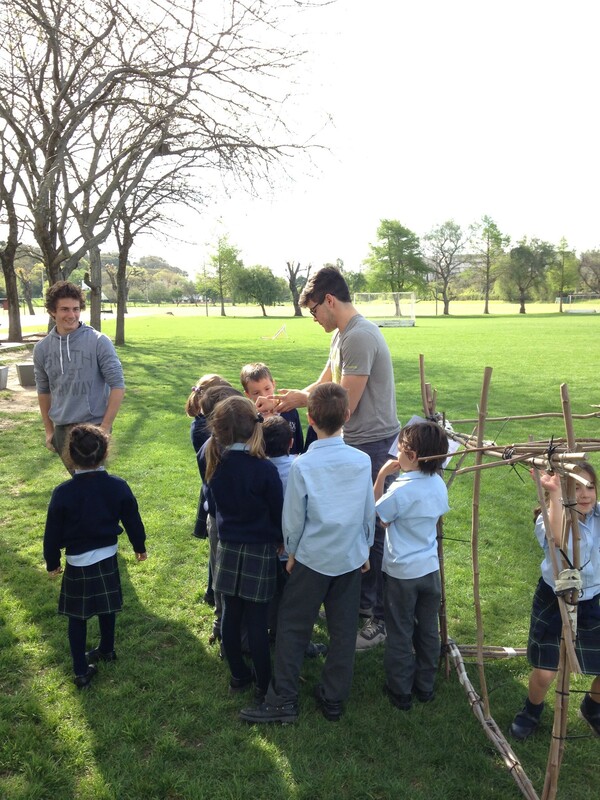 When the “big boys” came to share their experience building houses for TECHO, we had Building Friday #2. 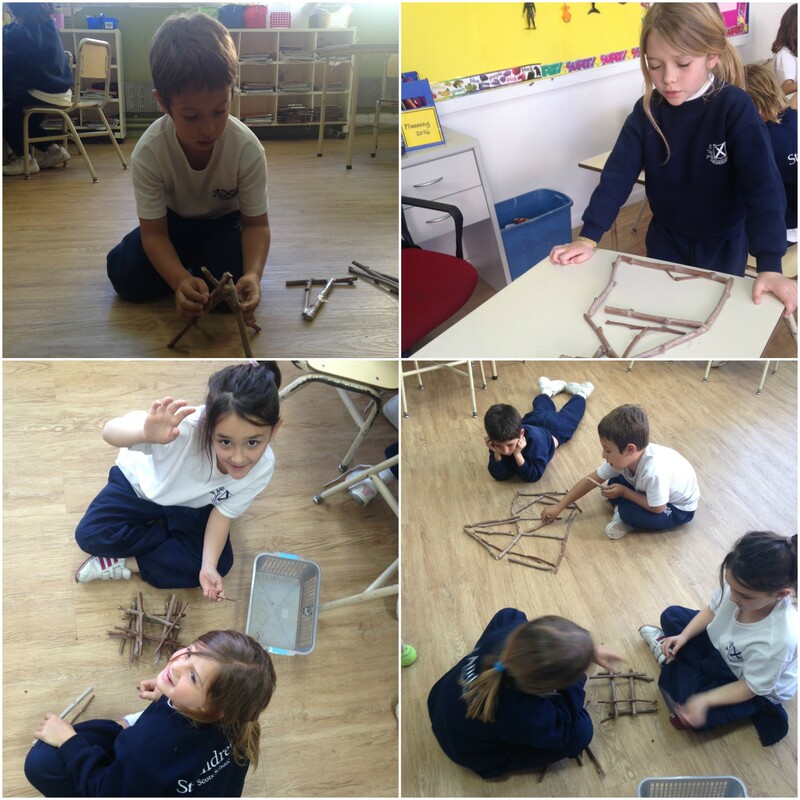 We made a great deal of progress, specially after the boys suggested we use the 1B house as the roof for the 1A house! 8. BE KIND goes out into the world. A algún colegio que no tenga tantas cosas. Leave it outside of school so people passing by can play with it. 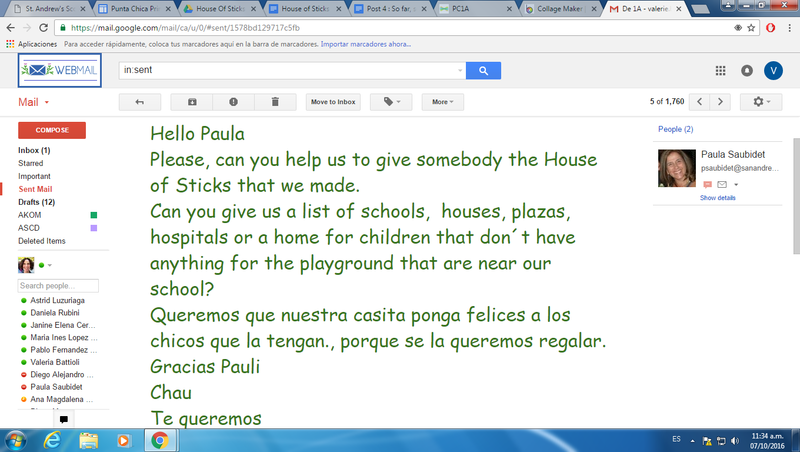 Ask Miss Paula who we could help that need a house of sticks. 9.Needs analysis: Our needs vs. other children’s needs. 11. 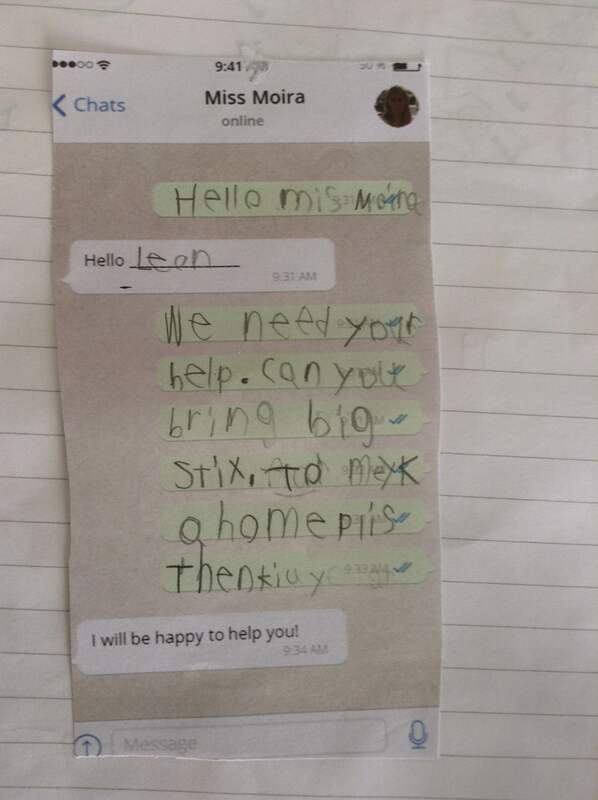 Email to Paula asking for help. How to make the walls for the house using wire to hold the sticks together. 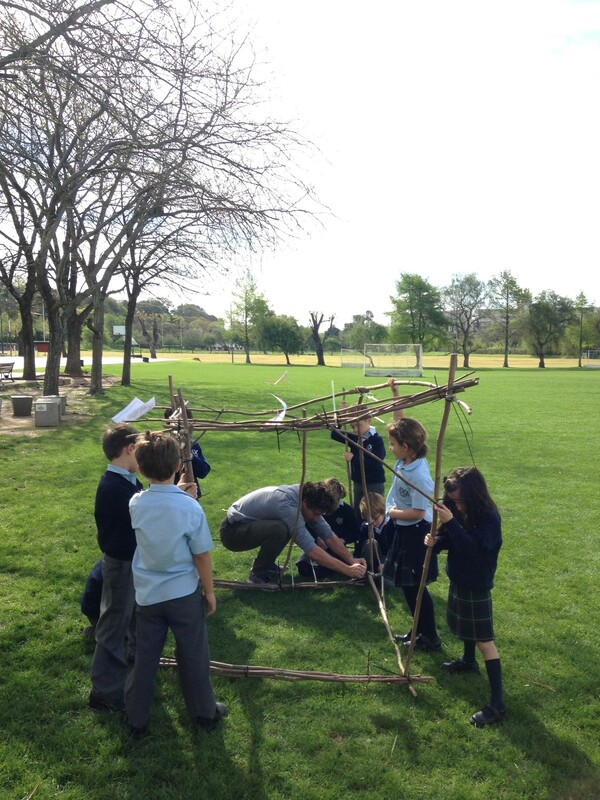 How to work with sticks that are made by nature and are all uneven. 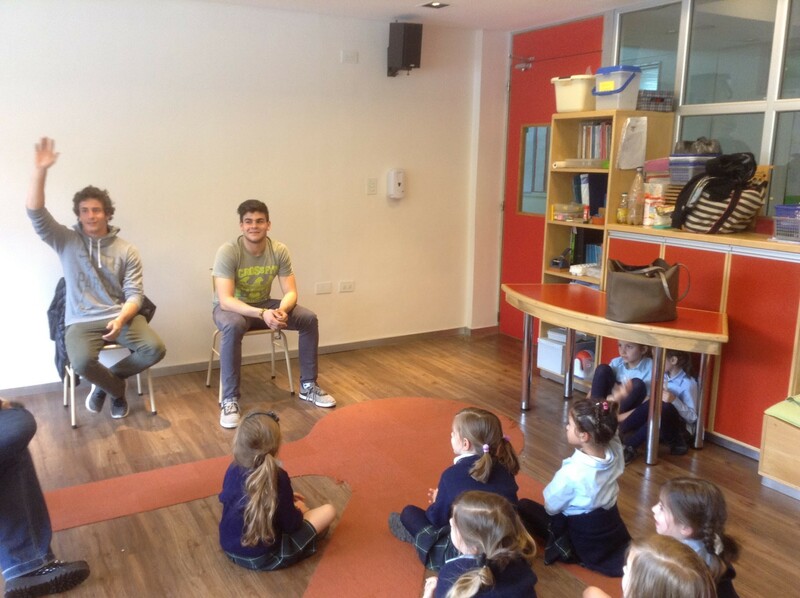 We will keep posting updates, with a bit of an interruption due to Concert week! 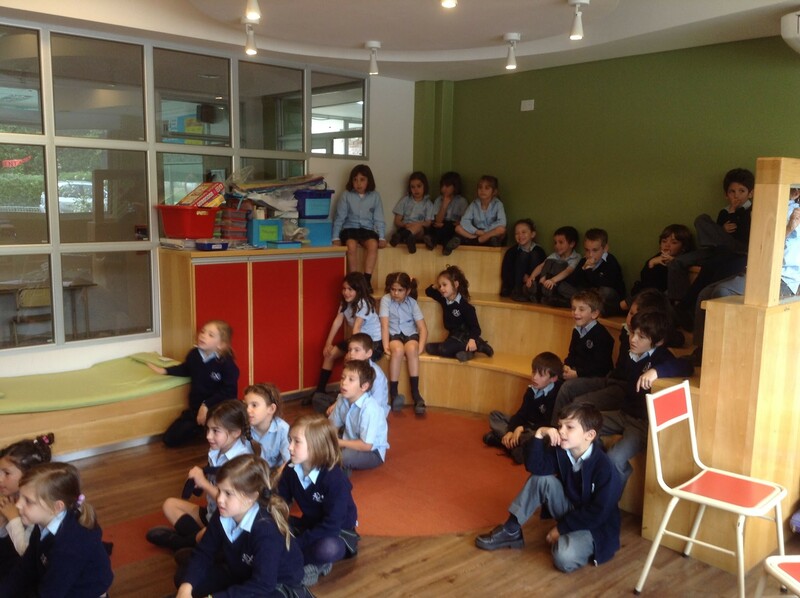 The children look really engaged, trying to solve a real problem, coming up with interesting and thoughtful questions!